Chris Oyakhilome was born on December 07, 1963, as the eldest son of the family of Elder Tim Oyakhilome in Edo State, Nigeria. Chris Oyakhilome (popularly known as “Pastor Chris”) is a Nigerian Pastor, faith healing minister, television host and author who is the founding president of Believers’ Loveworld Incorporated, also known as Christ Embassy, a Bible-based Christian ministry headquartered in Lagos, Nigeria. 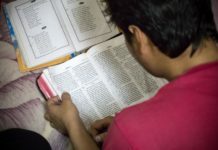 He is a passionate teacher of the Word of God. Chris Oyakhilome was studying at Ambrose Ali University, Ekpoma in Edo state, Nigeria when he started the Believers’ Loveworld Fellowship then known as Youths For Christ (YFC), which later became Believers Loveworld Inc, the global ministry with millions of followers and associates all around the world. Notable among the leaders of the school fellowship was another student, Tom Amenkhienan who was the leader of the choir. Anita Ebodaghe and her friend, Joy were members of the choir who soon married both Chris and Tom. 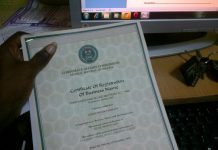 YFC soon became one of the largest fellowships on Campus in Ekpoma. 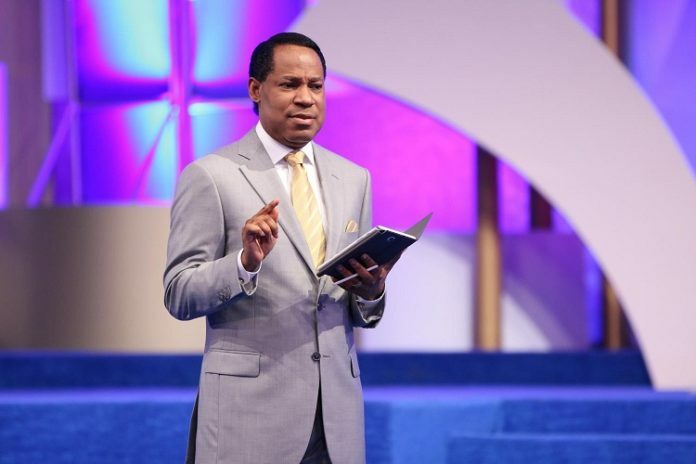 By 1989, Chris Oyakhilome established the ministry known as Believers Loveworld inc (BLW) and named her church arm Christ Embassy with headquarters in Lagos. He got married to Anita on February 2nd 1991. By 2002, BLW had become the most prominent Christian ministry on television in not just Nigeria but all over the African Continent with her Atmosphere for Miracles. Nigerian former President, Olusegun Obasanjo through the NBC in May 2004 stopped the airing of miracles on Television. 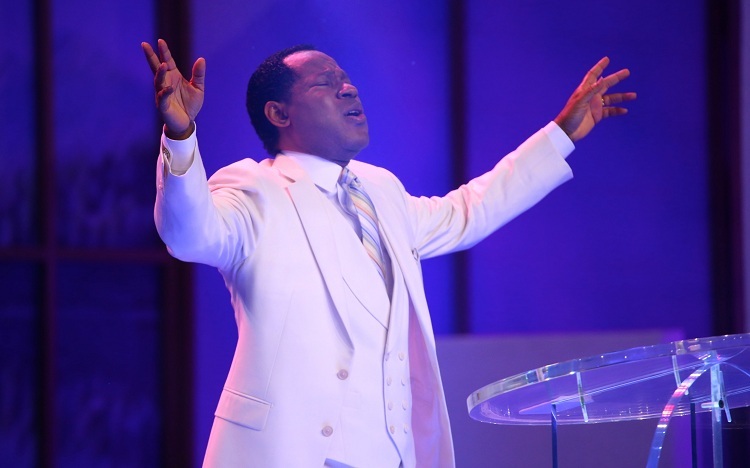 His ministry runs several arms including the Healing School, Rhapsody of Realities, LoveWorld Books, and an NGO called the Innercity Missions for Children as well as three Christian television channels: LoveWorld TV, LoveWorld SAT and LoveWorld Plus. 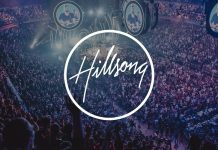 Oyakhilome’s television programs feature faith healings and miracles, in large meetings which his ministry organises in several countries, with gatherings of over 2.5 million people in a single night’s event. The Inner City Missions of BLW is a program held to feed the poor in the suburbs and slums of Africa. LoveWorld TV was the first television network based in Africa to broadcast out to a global audience on a 24 hour basis. Oyakhilome’s ministry holds meetings in the United Kingdom and the United States, and has “healing school” sessions in South Africa and Canada. and organized the Night of Bliss South Africa event at the FNB Stadium in Johannesburg. Oyakhilome also operates an International School of Ministry, which held one of its Ministers’ Network Conferences in 2016 with 5000 ministers in attendance from 145 countries, in Johannesburg, South Africa. 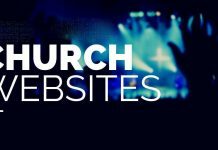 Oyakhilome runs an online prayer network using social media to send messages to Christians in several countries. He had over 1.2 million followers on Twitter in 2013, over 30 million followers on his own social networking website called Yookos and operates a smartphone messenger called KingsChat. 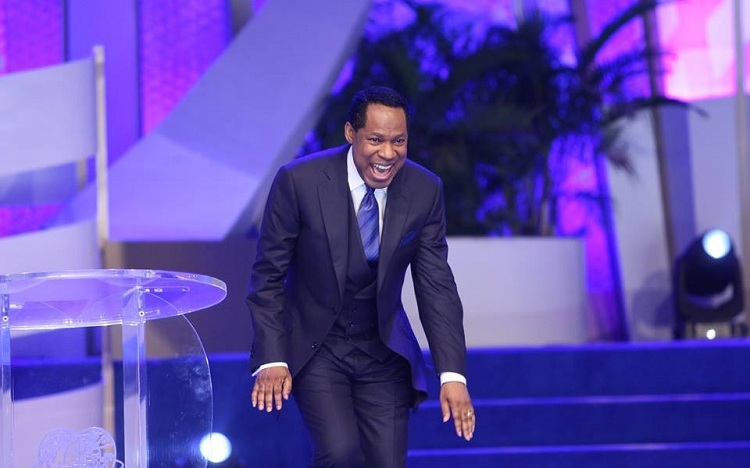 Oyakhilome is also the author of the daily devotional “Rhapsody of Realities”. It is available in 837 languages and distributed in all countries of the world On Rhapsody website (http://dl.rhapsodyofrealities.org/en/reachout/start/middleeast). The “Rhapsody of Realities” devotional is only available for download in some 150 languages. Oyakhilome also hosts Higher Life conferences in Nigeria, Ghana, South Africa, UK, US and Canada. In 2015, Oyakhilome was given an honorary doctorates from Ambrose Alli University, and Benson Idahosa University. 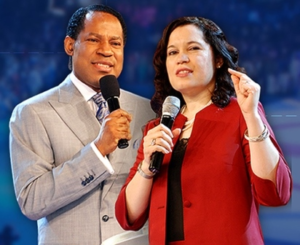 Pastor Chris got married to Pastor Anita Oyakhilome on February 2nd 1991 and together they have two lovely daughters, Sharon Oyakhilome and Charlyn Oyakhilome. Pastor Chris and Anita got divorced in 2014.